Many of today’s proven stress reduction techniques are derived from yoga. In this session, you’ll learn how to incorporate some of those techniques into your daily life. Come hear how conscious breathing, physical movement, stretching, mental imagery, and meditation will help turn down the volume of your stress. Sponsored by Radiant Wellness Yoga Therapy. Tired of not meeting your fitness goals and being bored by your workout routines? Studio Jear Group Fitness will show you how fitness + fun = RESULTS! Join us for an informative discussion on fitness and interactive demos. Sponsored by Studio Jear Group Fitness. Total Control© is Baptist Health’s medically based exercise program to help women strengthen the core muscles that are essential for bladder control and quality of life. Join in for a sneak peak of the full program. Learn how to engage the muscles of the “pelvic pyramid” that play a vital role in core strength, posture, and continence. Sponsored by Baptist Health. As we age, our skin gets tired and slows down, but it doesn’t have to. Learn how the Vivace RF Microneedling treatment can kick your skin into high gear again resulting in glowing, plumper, and tighter skin from the inside out. Sponsored by Pura Vida. When you hear the word wellness do you ever think of finances? Money worries are one of the top stressors people experience. Join this breakout for a better understanding of finances, getting out of debt, and saving for the future. Strive to have financial freedom from the get go. Sponsored by VyStar Credit Union. Like it or not, you leave a trace and make an impression everywhere you go. You can either shape the perception other people have of you, or let the chips fall where they may. The latter approach is not the way to go, especially if you are in a career slump or feel stuck in a loop. Take time to build a name for yourself and actively craft and manage the image that is most fiercely YOU. Sponsored by She Is Fierce! Emotional intelligence (EQ) is an extremely useful tool that we all should be tapping into more frequently. EQ is the ability to identify and manage your own emotions and the emotions of others. Learn how to tap into EQ to communicate better, solve problems, and ultimately reach your goals. Sponsored by Hoffman Coaching. Retirement brings a whole new set of things to think about. make the most of what you have. Sponsored by VyStar Credit Union. about easy ways to improve your nutritional habits. Sponsored by Publix Supermarkets Charities. you have the power to decide the path you take in life. Sponsored by AARP. Create harmony in your life and in your health. 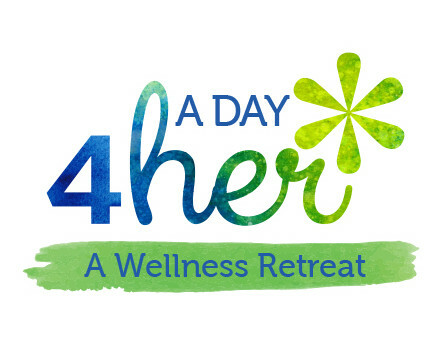 Let go of the pressure to be the “ideal woman,” “perfect mom,” or the one who “has it all.” Join us on a journey to learn how to shut out distraction and focus on those things that are important to you - confidence, taking care of yourself, friendship and more. Sponsored by Yoga 4 Change. control, fertility and family planning, weight management, stress, and anxiety join us in the ST. JOHNS ROOM to speak with experts in these fields. our experts don’t have your medical history, so please keep questions general. If you have an interest in raising a family, diabetes, cholesterol, blood disorders, relationships, hypertension, pelvic health, asthma, allergies, weight management, and preventive screenings join us in the CLEARWATER ROOM. If you want to know more about life after menopause, aging healthfully, cardiac and heart health, smoking risks, sleep, caregiving, aneurysms, preventive care, pelvic health, anxiety, and depression join us in the DAYTONA ROOM. At this speed “dating” event, you will have the opportunity to have a roundtable discussion with physicians and experts from all different fields. Just remember, our experts don’t have your medical history, so please keep questions general.